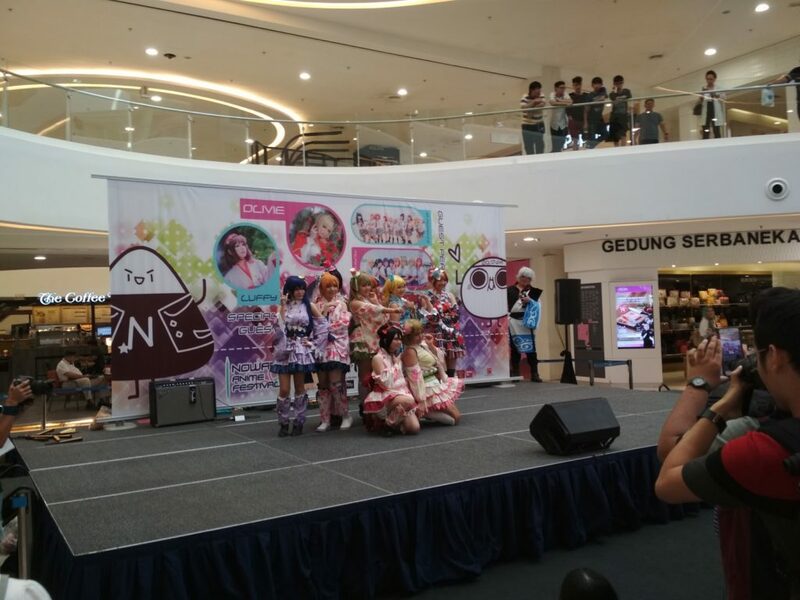 Despite being a brand new anime event, Nowadays Anime Festival had garnered a lot of attention with its debut. Especially with other events such as PSX and Taylor’s Bunkasai happening on the same day, Nowadays had a pretty decent crowd, many amazing performances, some pretty impressive guest cosplayers and a great lineup of doujin booths. 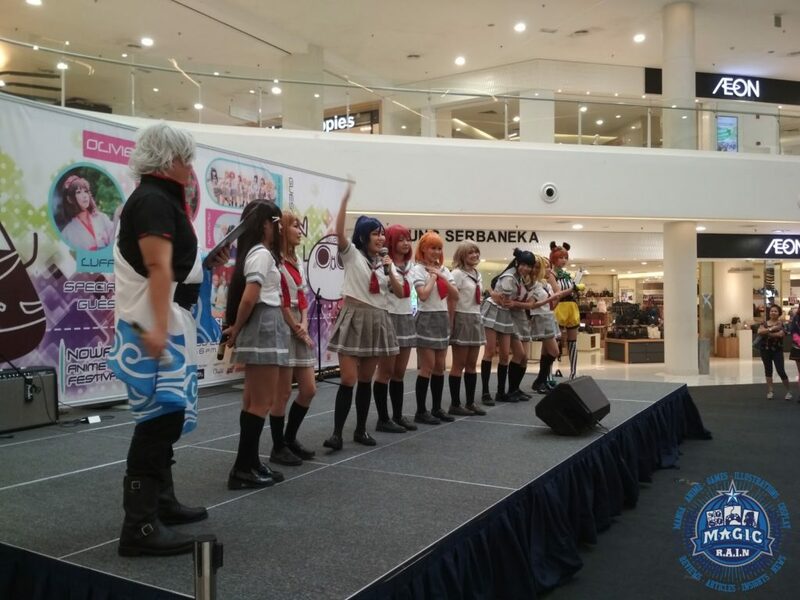 Held at Quill City Mall on the 5th and 6th of August, Nowadays Anime Festival featured 3 Love Live cosplay dance groups ( M Moments, Milky Way and Kotoba), 3 Guest cosplayers (Olivie, Luffy and King Chin) and many other performances to boot. The biggest and greatest thing about Nowadays was probably its stage events and let me tell you there were A LOT of really good stage performances from singing to dance performances by some Love Live cosplay groups. However, I felt as if many of the people actually came specifically to watch the Love Live performances that were highlighted. 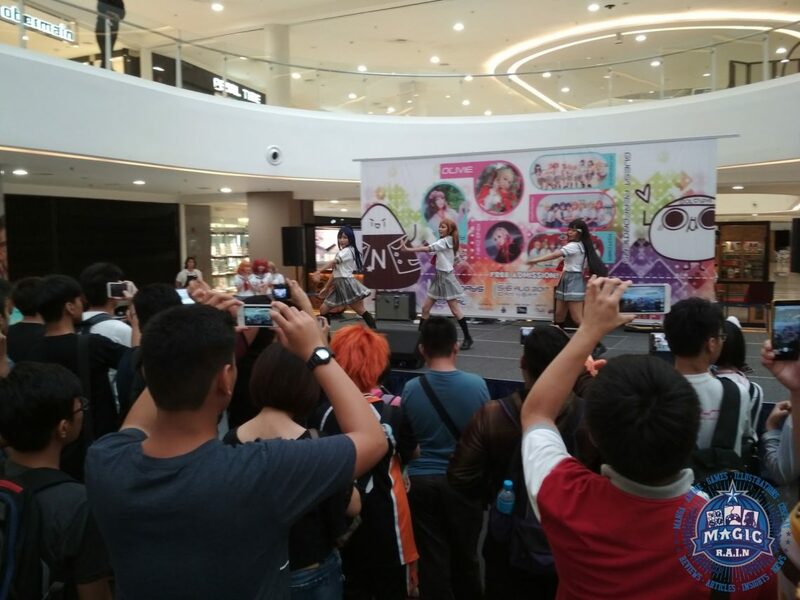 This was because a large portion of the attendees were mostly at the stage when the Love Live groups were present than anywhere else. In my own personal opinion, I thought the amount of Love Live content was a little bit overkill considering the event wasn’t really targeted towards Love Live fans as far as I know. I was a little disappointed with a few of the entrees performances. Most of them did impress though with roleplaying elements and such. While I’m not too big of a fan of dance performances you can really see that they put real effort into their performances. Not to say the performances were bad, I think it’d just be better if they went for something a bit more original. There were a few legitimately good cosplay performances that were pretty entertaining to watch. 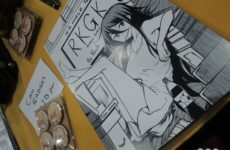 There was a pretty interesting lineup of doujin booths happening around as well. 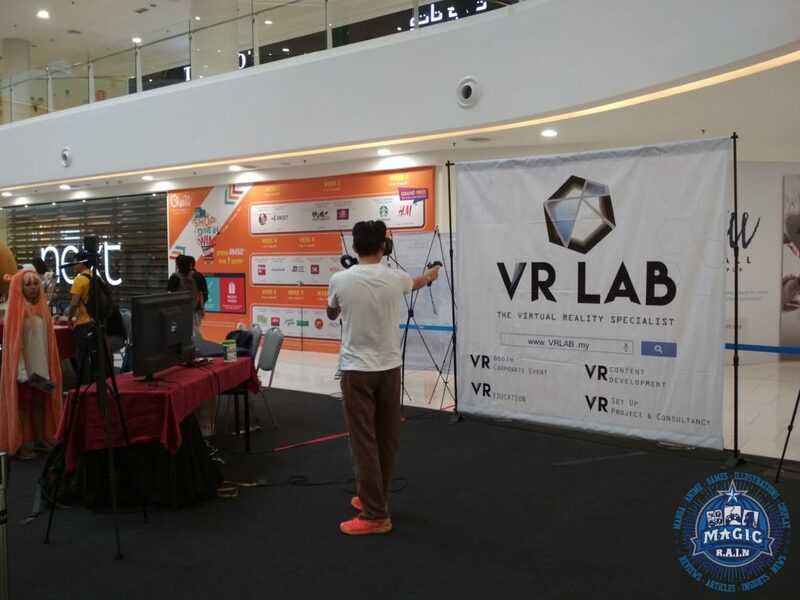 From your regular set of creative fan artists, to cute plushie sellers, to even a VR Lab for event goers to experience various VR games such as a zombie shooter and lightsaber jedi training. As for guest cosplayers, we were graced by the wonderful presences of Olivie, Luffy and King Chin. 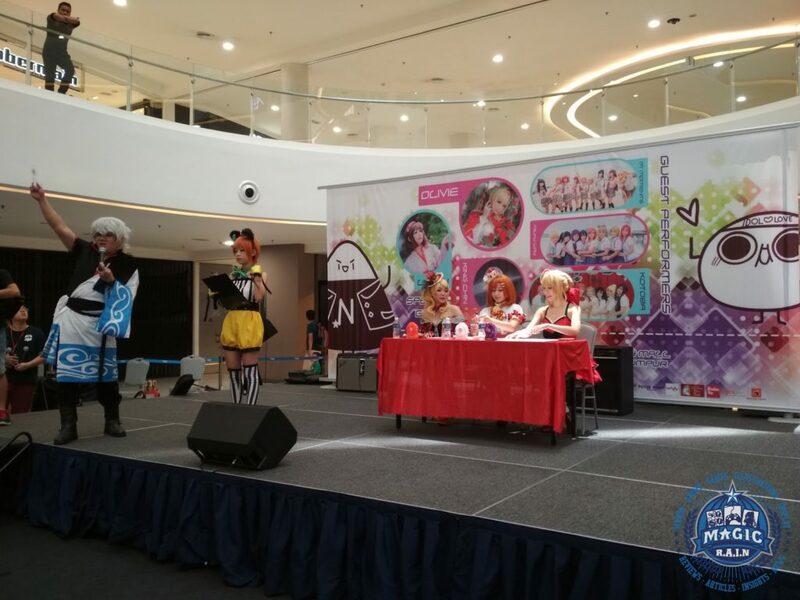 Aside from being the judges for the cosplay competition, the guest cosplayers also held a Q&A segment and even played games such as “Who can raise their hand the highest” or “Who can shout the loudest” with the audience. The prizes given to the winners were things like a hug from the cosplayer or a personal selfie, cute little things like that. 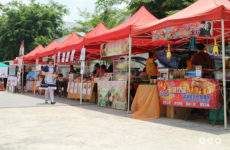 Likewise, the guests also had their own booths for their own merchandise which was pretty popular with the attendees. One thing that really bugged me was how bad the PA system was. From time to time with announcements you could often hear feedback coming from the speakers and sometimes it even affected the performances as well. They even put microphones in front of the instrument amplifiers instead of using the actual amplifiers. Aside from that, on the first day there was an entire segment of the event that was cut off from the rest. Basically, the main event was held at the center space of the mall and this other segment was placed at one of the side entrances, which was a few lots away from the main center space. This segment was pretty important considering it had the Photo Stop booth and another VR Lab booth as well. All in all Nowadays Anime Festival was a great event and I had a lot of fun attending it. From the abundance of spectacular stage performances, to the enthusiastic emcees and to the amazing lineup of doujin booths and guest cosplayers. All of this and it’s a free event to boot. Nowadays Anime Festival definitely has my vote. Next PostVisual Arts Expo 2017, Back For Another Year!